As the Leader in Customized Real Estate, Real Living has prepared a special Real Living. 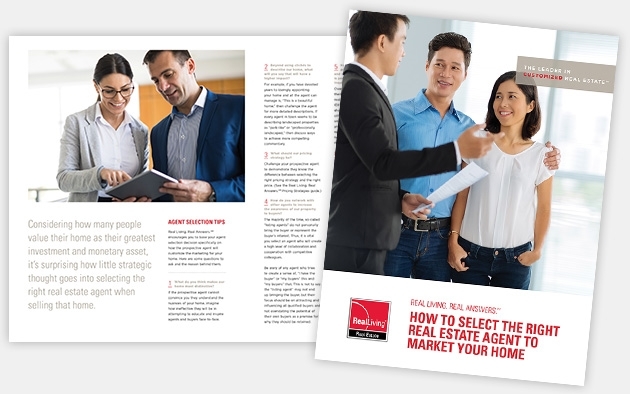 Real Answers.SM guide with key questions you should ask to select the right real estate agent to market your home. Fill out the form on this page and I will gladly provide you with a copy.